It may be time for one of those What-The-Heck-Is-Going-On articles. So from a relatively wide perspective, let me start with the consciousness shift that’s transpiring. These are what in the Bible are referred to as the end times. 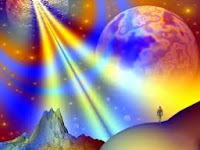 At the conclusion of every age, there comes a time when those who have attained a certain vibratory level or a certain light retention (same thing) can pass on from this Third Dimension of Reality that we’ve been inhabiting in the physical body (Fourth Dimension between lives) to the Fifth Dimension. There are a great many stellar civilizations around the planet assisting us with what has generally come to be called our “Ascension.” It’s the first time that an Ascension has involved a whole planet – a mass Ascension – and it’s the first time that people have ascended taking with them their physical body. In past times, people ascended individually upon the death of the body. The Ascension process is gradual with sudden ignition points that may involve large groups of people. We’re in the midst of the process now, the energies gradually rising and carrying us with them on their various waves. If one increases the power of the microscope, we see a large number of preparatory events. We’ll see the lifting of global poverty through a number of financial reforms that will have abundance spread. 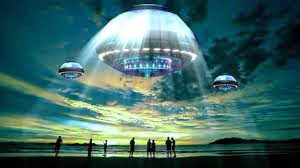 We’ll see the landing of our star brothers and sisters, who have many new technologies to offer us and much mentoring and preparing for certain phases of Ascension. 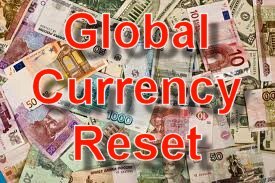 We’ll see a reformation of all governments, all economies, all militaries, religions, schools, universities, hospitals, and other social institutions. Weapons won’t work any more and war will end on the planet. So, yes, aliens are involved. These same civilizations are our ancestors. 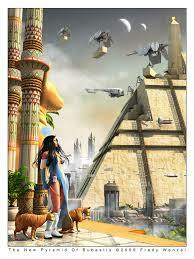 They colonized this planet and watched over us for hundreds of thousands of years. Without them, we’d have blown ourselves up in a nuclear World War III – those of us who survived the cabal’s pandemics, toxic vaccines, chemtrails, fracking-poisoned water supplies, oil spills, HAARP disasters, depleted-uranium radiation, etc., as they tried to bring the planet’s population down from 7 billion plus to 500 million. Our star families are taking the poisons out of the water and air. Among the gifts they’ll leave with us are replicators, free-energy machines and anti-gravity devices. Among the gifts they’ve already given us are the silicon chip, Internet, fiber-optics, teflon, kevlar, stealth technology, underground boring technology, and other devices (such as the Looking Glass) which are only partly understood. I personally worked for the company (Hughes Aircraft) that received the silicon chip from the Roswell spacecraft for back-engineering into what became our computers. This planet would not have survived without the aid of our galactic family. And they’ll soon be here at our invitation to assist us the rest of the way. Everything that’s happening now follows a Divine Plan in its general contours. We humans may cause detours and delays because we’re always left with the free will to choose to go another route. But the planet itself will ascend, whatever we do. Her Ascension is part of the Plan. The galactics follow that Plan. It’s we here on Earth who haven’t. There’s no compulsion on anyone to join in Ascension. There’s no shame attached to not wanting to ascend at the present time and no penalty accrues. Life goes on in Third Dimension for those who so choose. Just not on Planet Earth. However, if people could experience what awaits them, I doubt whether anyone would be found who’d want to hang back. I spent about a half a year in universal love (I call it “transformative” love) and another three months in bliss. Love and bliss are our natural states, underneath the Third-Dimensional overburden of issues and patterns. Love and bliss are features of life in the Fifth and higher dimensions. I can say from my own personal experience that, in either of these states, there was nothing else I could have wanted, nothing that could be added, and nothing that could be taken away. Life was perfect, moment by moment. That’s the higher-dimensional life towards which the rising energies are carrying us. Our star family is already there, waiting for us and ready to welcome us home. For more details of the Plan as seen from galactic and celestial perspectives, see First Contact at http://goldengaiadb.com/First_Contact. (1) The beneficent galactics caused the Draconians to leave some time ago. 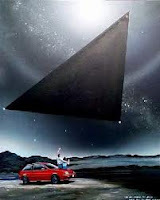 See “Do Hostile ETs Remain Around the Earth?” at http://tinyurl.com/zdrvvdm. (2) The term used by internationally-renowned radiation expert Dr. Rosalie Bertell, quoted in judgement of Professor Ms Niloufer Bhagwat J, International Criminal Tribunal For Afghanistan at Tokyo, 13 March 2004, downloaded from http://www.traprockpeace.org/tokyo_trial_13march04.doc, 30 Aug. 2007.